The KUZE is designed to meet current evidence-based recommendations to optimise health and school performance. It is a cost-efficient and space saving innovation which serves the dual purpose of a chair and a standing desk. The KUZE uses an innovative, height-adjusting and locking mechanism, it allows the child to move change position instantly, thereby not interfering from their academic work or disrupting the class. The KUZE features a slight slope that facilitates reading and writing, it also has a left and right slide out panel that enlarges the work surface when using more than one resource. These features make standing and working entirely feasible while enjoying the benefits of reduced sitting time. Although initially designed to improve dynamic school classroom ergonomics, the KUZE will also be suitable for the office or home office. The KUZE matches the anthropometrics of a wide range of learners from junior to secondary school because it adjustable to the size of the learner. It has 6 height settings and can easily adjusted. The KUZE can be used as a chair or a sanding desk by lifting it onto the existing work surface. 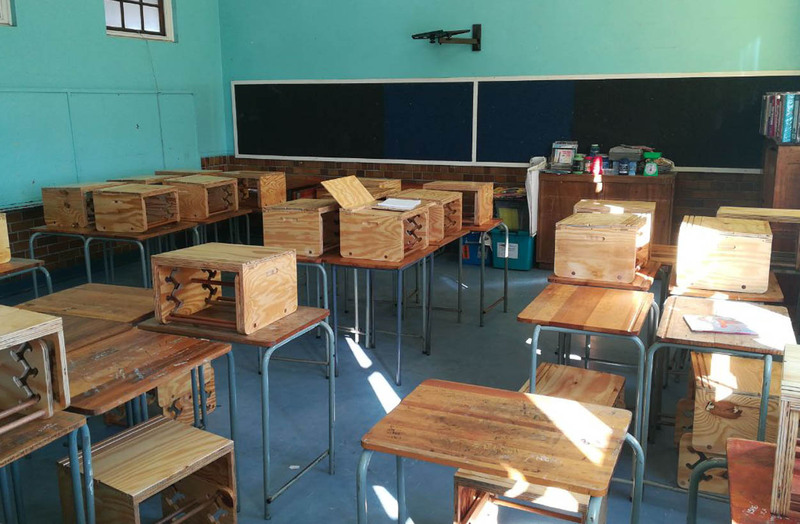 The multi-functionality of the KUZE means that it is cost-effective, increases the available floor space for group work and general mobility in the classroom.This also means that learners have the option to stand and work comfortably, thereby reducing sedentary behaviour and reducing the load on spinal structures. Using the KUZE in standing may increase learner concentration and time on reading and writing tasks as reported by international studies. This has potential benefits for academic performance.